Stelios Koudounaris presented his Spring-Summer 2012 collection at Ethniki Asfalistiki Conference Center in Athens as part of the 10th Athens Xclusive Designers Week. 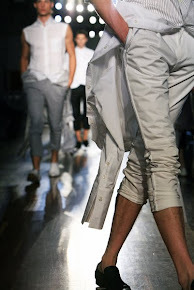 It was the first time he also presented a collection for men. In this post first a few photos of his women line.